In need of a better way to dispense funnel cake batter into your fryer? This Carnival King 2 qt. 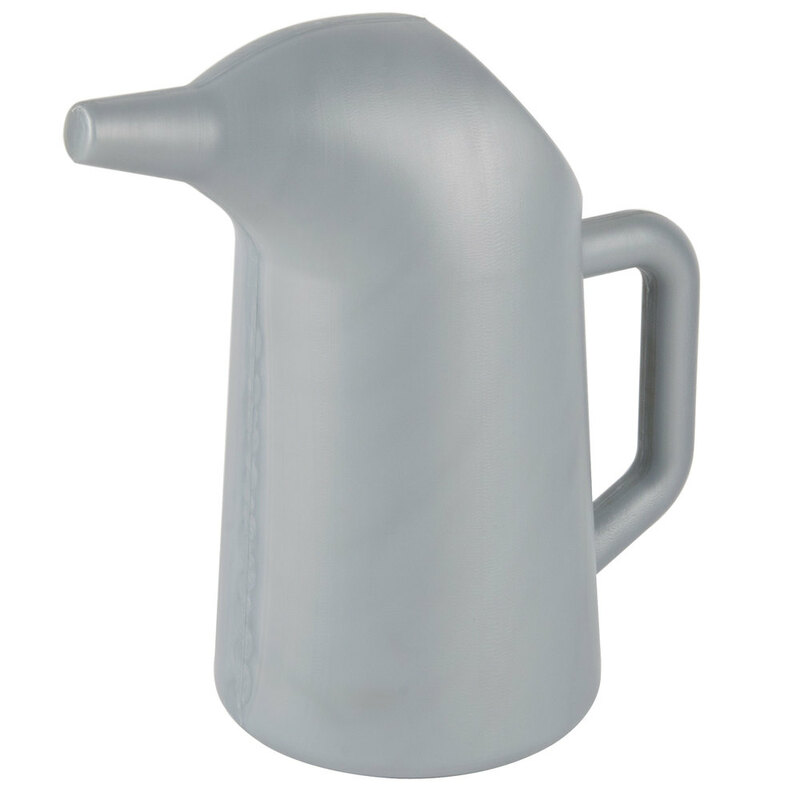 gray plastic funnel cake batter pouring pitcher will provide higher production for you by providing the perfect pour! It is lightweight and the molded plastic handle makes it easy to hold and pour, even over hot frying oil. This funnel cake pouring pitcher also offers complete customization! There is no hole pre-drilled in the pouring spout so that you can make the rate of flow exactly what you want. Generally a 1/4" hole is used, but the funnel cake connoisseur may prefer to make the opening slightly larger or smaller. When you open this funnel cake pitcher, you can use a regular drill bit to drill a hole of the perfect size in the end of the pouring spout. This funnel cake pitcher has a large 2 qt. capacity so that you can hold up to 64 oz. of funnel cake batter at once! With that much batter at hand, you can pour more funnel cakes without needed to stop and refill the pitcher.